Last year, four out of 10 Venezuelans had property or money stolen. Hardly surprising since Venezuela was the least secure out of 144 nations, according to the most recent Gallup Law and Order Index. Chaos in Venezuela is creating a power vacuum, pulling regional and global powers into the South American country. Brazil has long attempted to become the regional leader and to guide other South American countries into prosperity, but has failed to properly respond to the socialist threat. Instead, as German scholar Oliver Stuenkel argues, Brazil has become an enabler of Maduro’s government. Brazilian firm Odebrecht was recently convicted of bribing South American governments in return for construction contracts, according to the BBC. The U.K. broadcaster reported that the bribes totaled hundreds of millions of dollars and stretched from Mexico to Argentina. The pattern is consistent: Brazil would rather profit from Venezuela’s misfortune than to work toward a solution. Since Venezuela adopted a socialist system in 1999, the number of people fleeing the country has totaled 4 million. Refugees continue to leave the country, placing strain on its neighbors, especially Columbia and Brazil. These countries are not prepared to provide the immediate care which the Venezuelan refugees need and are often not willing to allow them to integrate into society. Brazil has chosen to live comfortably with its socialist neighbor, instead of working to end Venezuela’s oppressive government. As a result, the scope of the problem is now beyond Brazil’s resources. Stuenkel argues that Brazil’s influence over Venezuela has been surrendered to Russia and China. For instance, Russia and China have called for the United States to respect the results of the 2017 election and Russian banks have aided Venezuela in bypassing U.S. sanctions. Since they are Maduro’s last resort, China and Russia now have greater influence in the region. The combination of abject poverty, famine, and waves of refugees in the region have created an explosive situation where no regional power is able to effectively act. Socialism aims to overturn the capitalistic model, which is based on the reality of scarcity and the fostering of competition, and aims to usher in a utopian era of plenty. Maduro pledged during his presidential campaign in May to introduce a time of peace and a “prosperous future.” His programs promised food, medicine, and housing, yet Venezuelans are starving in the streets. Widespread hunger has often been the result of a socialist system because of its top down, command economy ideology. Maduro’s regime lacks the information to properly manage state resources and produce the proper amount of food, which is the proper function of a market economy. The brutal results of the Maduro’s plan are citizens who are utterly dependent and a state which cannot deliver. Tragedy and chaos will continue as long as Maduro remains in power. China and Russia may use their influence in South America to aid the nation but Maduro could become the new Fidel Castro, who was propped up by the Soviet Union for 30 years. Yet if socialism persists, quality of life will continue to fall and people will flee the country. Ultimately, the Venezuelan people will be robbed of any remaining power to act in their own interests. Those who wish to end the suffering can only hope that a democratic solution will present itself. While an expansion of freedom would be contrary to recent authoritarian trends in Venezuela, a reversal would be welcome to many, including those in recent student protests. Venezuela cannot afford to remain in its current state, as its citizens are pushed towards the edge of survival. Even if they were able, its neighbors are unwilling to act, leaving Venezuela under the influence of countries such as Russia and China. This is a failure that all of Latin America may soon regret. 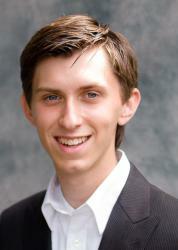 Noah Gould is currently a part of The Acton Institute's Emerging Leaders Program. He is studying Economics at Grove City College in Pennsylvania. This fall, he will be researching Political Economy under Kai Gehring at the University of Zurich.